In this tutorial, you will learn how to configure Adaxes to automatically set the Remote Desktop Services profile path for newly created users. To automatically perform actions when a certain event takes place, you need to use Business Rules. Adaxes provides built-in Business Rule After User Creation that is triggered after a new user is created. 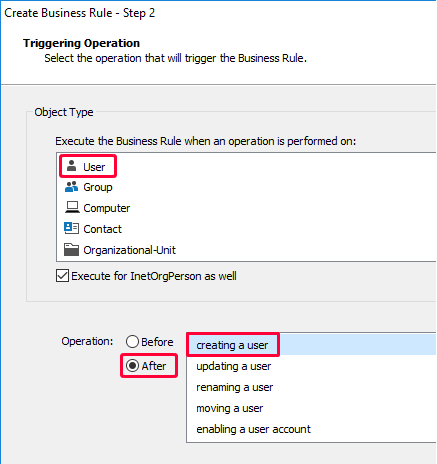 You can use the Business Rule to automatically set the Remote Desktop Services profile path. 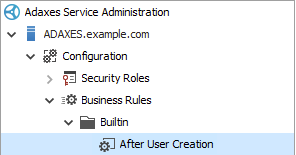 Alternatively, you can create a separate Business Rule to update Remote Desktop Services profile path. In the Add Action dialog, select the Update the User action. 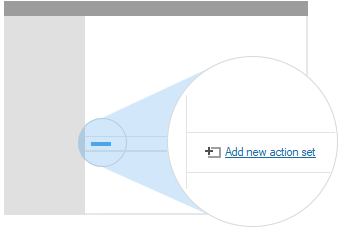 Click Add in the Action Parameters section. Select the Remote Desktop Services Settings property. Click the button embedded in the New value field. Specify the Remote Desktop Services profile path in the TerminalServicesProfilePath field. To set a unique profile path for each user, you need to use value references (e.g. %username%). When the Business Rule is executed, the value references will be replaced with corresponding property values of the new user's account. Optionally, you may want the Business Rule to set the profile path only if certain conditions are met. To assign a condition, right-click the action and select Add Condition in the context menu. In the following example, the profile path is set on the condition that the Employee Type property of the new user account equals Subcontractor.